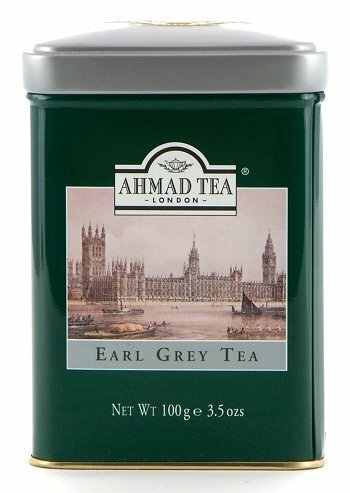 A delightful tin of Ahmad Tea Earl Grey loose tea. Earl Grey is a blend created from Black China, Darjeeling and Ceylon teas, flavored with the oil of bergamot. It is the oil that gives the blend its characteristic"scented" aroma and flavor. This is one of the most popular specialty teas and is usually an afternoon drink. Each tin depicts a charming British scene. 3.52 oz. Packed in England.